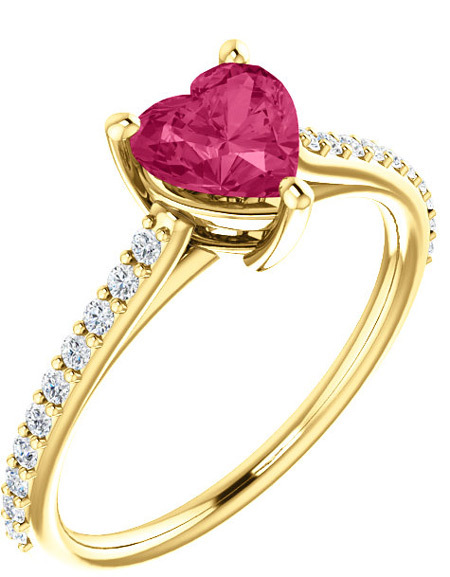 A soft, yellow gold band gives energy to this heart shaped rose colored pink topaz gemstone and diamond ring. 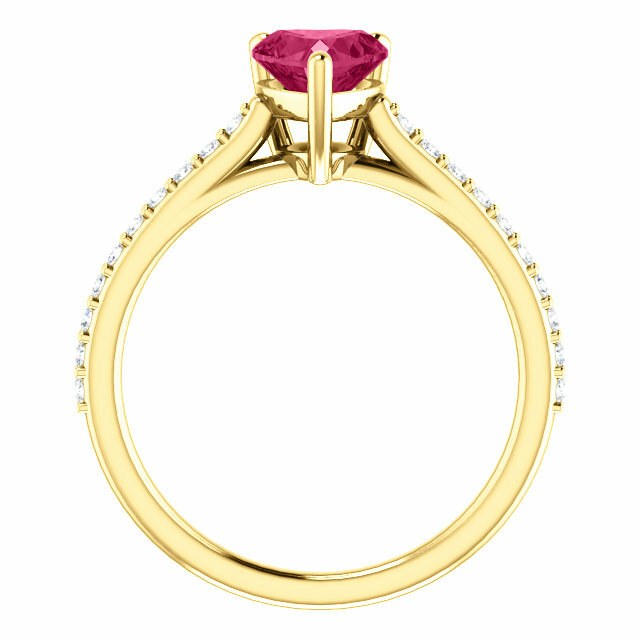 The authentic gemstone, from Apples of Gold Jewelry, is an AA rated stone, and is available in 10K, 14K, or 18K yellow gold. The diamonds on the band measure .20 carats, and are G-H rated for color quality and SI rated for clarity. The extra sparkle provided by these diamonds on the band surround the pretty pink 7x7mm gemstone, adding an extra touch of beauty to your ring. 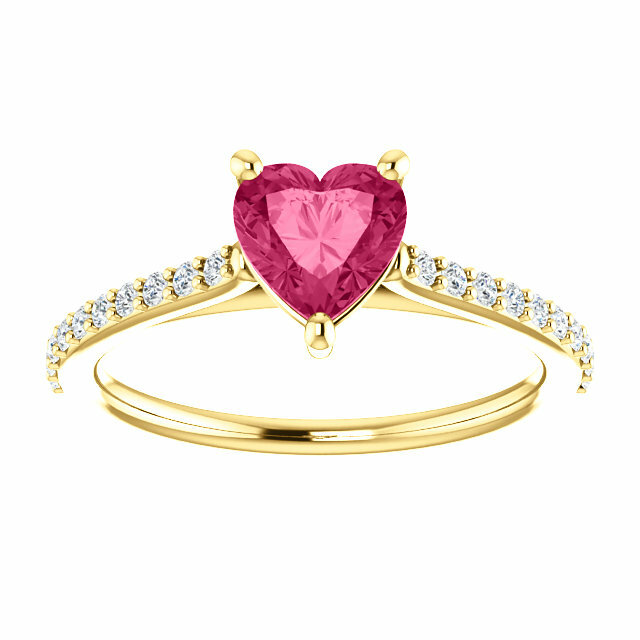 We guarantee our Yellow Gold Heart-Shape Pure Pink Topaz Diamond Ring to be high quality, authentic jewelry, as described above.